Gentlemen, it is better to have died a small boy than to fumble this football. Like most American grade-schoolers learning by rote the succession of America’s Presidents down through the years, Nebraska fans young and old can quite accurately recite the succession of Nebraska Football’s first string I-Backs, too. Often even more so than the quarterback position, Nebraska’s primary ball-carrier was looked upon as a Superman among us mortals, hauling in the last-second option pitch, picking up downhill speed, changing gears, turning the corner and cruising past downfield blocks and fallen foes into the end zone time immemorial. My memory bank’s recall begins at childhood and ends with the time I’d spent on staff, starting with Rick Berns, then I.M. Hipp, Jarvis Redwine, Roger Craig, Mike Rozier, Jeff Smith, Doug DuBose, Keith Jones, Ken Clark, Leodis Flowers, Scott Baldwin, to Calvin Jones/Derek Brown, Clinton Childs, Damon Benning, Lawrence Phillips, and Ahman Green, et al. That’s some pretty fast company. Following the O-Line and receiving corps’ blocks, Calvin made it look too swift and easy. Let’s catch up and hear his thoughts on the atmosphere and prevalent attitude during those early stages. Question: Hey Calvin, we’re a good 16 years removed and you’re still a hard guy to track down. Calvin Jones: (laughs) A lot of people say that. Q: I know that you’ve been involved in some Special Olympics activities, what else are you up to? 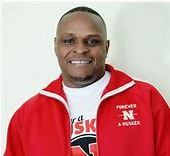 CJ: I started Forever A Husker, an events company. It all depends; we do fundraisers, speaking engagements, basketball tours and autograph shows. And one of the things that makes Forever A Husker fun is when I usually take all the seniors -after their last bowl game- on a ten to twelve-city tour across the state of Nebraska. And of one of the reasons I felt that was important, Paul -and we always had the basketball games and things that we did across the state- but I thought that was very important because some of that was lost due to the prior administration. And to be honest with you, the people in central and western Nebraska are your blue collar, your farmers and ranchers, your real, everyday people, and they root for the Huskers just as much as the people who live in Omaha and Lincoln. I’ll give you one example: one of the first guys I signed was Nate Swift, who was from Minnesota. And that particular class he was in, they went through two or three coaches and they really didn’t understand what it meant to be a Husker, and the first appearance we did was in Norfolk, Nebraska, Paul, and about 1,500 people came out. I had Nate Swift, Ty Steinkuhler, Tyler Wortman, Todd Peterson and Clayton Sievers at the event, and you should have seen the look on those guys’ faces. It was supposed to be a two-hour show and we actually ended up staying an extra half hour. 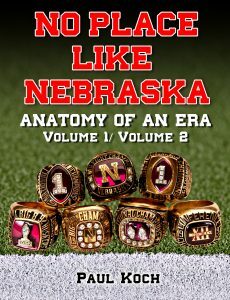 And those guys, when you looked in their eyes you could tell that’s what Nebraska football was about: how the fans and everybody across the state appreciated it. I thought it was just very important and I could make my little contribution to the program I loved and grew up watching and rooting for, trying to reach for tradition, because I felt some of the things were kind of tarnished because some of the recent things we’d went through. And it was just amazing, because that there was a deserving senior class. Think about all they had gone through: the first losing season and the media, and the state was split over the program -to see that group of seniors be able to go through and have their last productive season, it meant something. You think about us back when we had Coach Osborne, people used to raise hell about us going 10 & 1, 9 & 2, so they wanted everybody fired. (laughs) They wanted everybody fired, but those guys really get to see how much the fans across the state really appreciate Nebraska football. It was amazing. Q: Now, if I recall you went to Omaha Central High, right? CJ: Yeah, I went to Omaha Central. And growing up I was a Nebraska fan. I remember in the sixth grade when Turner Gill and Dean Steinkuhler and Roger Craig came to my elementary school and spoke, and I’ll never forget that moment. But the moment I remember most? 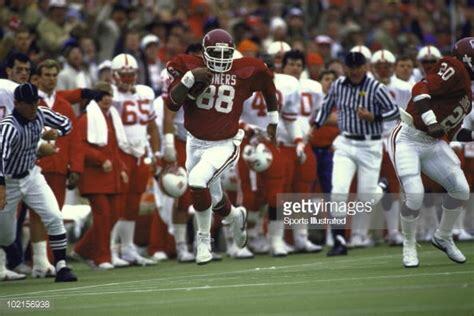 I do believe it was 1987 when we played the Sooners, and that was the first time Coach Osborne let any of the players do any talking. CJ: Yes. Nebraska was always just going to go out and play the game and weren’t going to get involved in a back and forth, and I remember that was the first time Coach Osborne let them talk. And Broderick Thomas and Steve Taylor were the big guys on the team and it was ‘Our House’, with the keys of the house, and then it was ‘Sooner Magic’ again. I’ll never forget it: Keith Jackson caught a pass one-handed on the sidelines and they kicked a like a fifty-two yarder to beat us. And we were leading them the whole game! I can remember wanting to throw the TV out of the house. (laughs) And the thing about it back then was, the game was always played after Thanksgiving on the Friday, so most Nebraska fans (like I was during that time)… the Sooners would ruin Thanksgiving, because you were so focused on Friday and Sooner Magic was going to happen again. I tell you what, the Sooners ruined a lot of Thanksgivings. Q: When was your first fall camp in Lincoln? CJ: My first fall camp was in 1990. And I redshirted that year. Q: In process of becoming a Husker you obviously had everybody and their dog wanting to give you a scholarship, right? Who else was pursuing you at that time? What other schools? CJ: My final three was Nebraska, UNLV and Tennessee, because Notre Dame and USC -I told a lot of schools when I was a junior that I wasn’t going to come- and my senor year I just had a few of the schools recruiting me, and towards the end of the recruiting process Miami had come on pretty strong. I believe I may have been the first player that Miami had actually come up to Nebraska to recruit. Q: Interesting. Clinton tells me that Miami was after him hard, too. CJ: Now Clinton… him and Damon, they were about two or three years behind me. 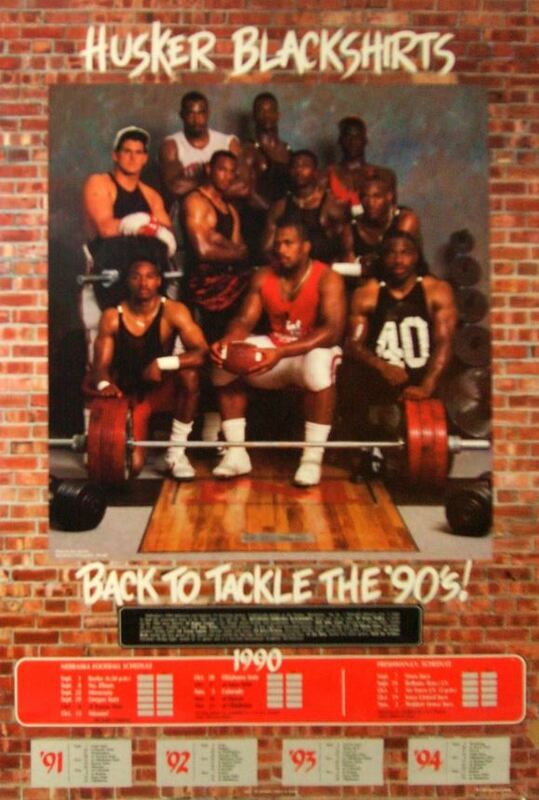 But to get back, when I went to UNLV the offensive coordinator, Coach Strong, he had just left Notre Dame. And when I went down on my recruiting trip they had Larry Johnson and Stacey Augmon hosting me, and that was the year UNLV had won the national championship in basketball. Q: I’m supposing that was a pretty entertaining recruiting trip, huh? CJ: Oh yeah. When I got back on the plane and came home I was telling everybody that I was going to Vegas, that I wanted to go to UNLV. I had a blast down there. Q: Obviously Vegas had that going for it, but Tennessee? What was going on there? CJ: You know, I didn’t actually end up taking an official visit there, but at the time Johnny Majors was the coach and they had Reggie Cobb and Chuck Webb as running backs -and they used to call them the “CobbWebb”- they were the dual-threat running attack and they had really sold me on being able to run the football. And those two guys were going to be graduating and it would be my job to lose. Q: So what put it over the top in your coming to Lincoln? Was it simply because you were a Nebraska kid? CJ: Well, simply because I was a Nebraska kid and my family and friends would be able to watch me play. And my grandmother had raised me, so it gave a lot of people who had supported me while I was growing up an opportunity to actually watch me play, and it was probably one of the best decisions I ever made in deciding to come to Nebraska. Q: Who was your primary recruiter? Which coach? Q: I suppose you got acclimated with the training room and the facilities a week or two before fall camp because you attended the Shrine Game, right? CJ: Well, I actually was in Lincoln about a week or two after I graduated from high school. 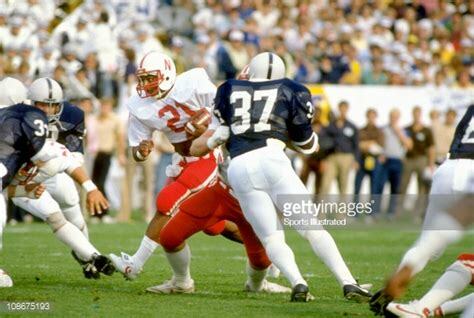 I was down in Lincoln shortly after I graduated when I came down and started that summer program for the Huskers. Q: Looking back on it as a wide-eyed college freshman, did anything about the organization initially jump out at you? CJ: I think the biggest thing for me, and also my grandmother, was Coach Osborne. When he walked into my house it was like God was walking in. But you know, he was somebody you knew who could not only to make a person a better man and a better athlete, but he also stressed the academic side of things. He made not only me but also my family very comfortable to know that I was going to be okay. That’s what any parent wants when their kid is going away to school: that he’s going to be alright and that Coach was going to keep me on track and in line. Q: “Take care of my baby boy. Use the velvet glove or the iron hammer, whatever is needed most,” right? Q: First friends you made? CJ: Well, I knew Leodis Flowers before I came to Lincoln and I also met Lance Lewis, who was his roommate. And I knew Curtis Cotton. He was also from Central, and Lorenzo Brinkley and Mike Grant. So there were few guys early on where we had bonded and built relationships, and I kept those relationships throughout college. I talked to Lorenzo not too long ago, talk to Tommie all the time, and Eric Warfield, Vershan Jackson and Damon Benning. There’s a few guys I see every now and then, quite a few guys around Lincoln and Omaha, and I keep in contact with them pretty often. Q: Did anything surprise you the first few days of practice? CJ: Oh yeah, they wanted to kill me. (laughs) I was a recruit and came in with all this hype, and man, them guys wanted to kill me. Because back then we had guys like Mike Croel, Kenny Walker and Joe Simms, Bruce Pickens. Them guys didn’t really care for me because I was a young kid that came in with a lot of hype. Q: They wanted to cut the young hotshot down to size and show you where you stood in the whole pecking order? CJ: Right. They showed me very early that I wasn’t all that cracked up to be that I thought I was. Q: Did they try to tell you that with physicality on the practice field or with words off of the practice field? CJ: It was on the practice field. Off the field everybody was okay. But on the field? Oh yeah, I was the low man on the totem pole and ran against those guys on the first team every day. 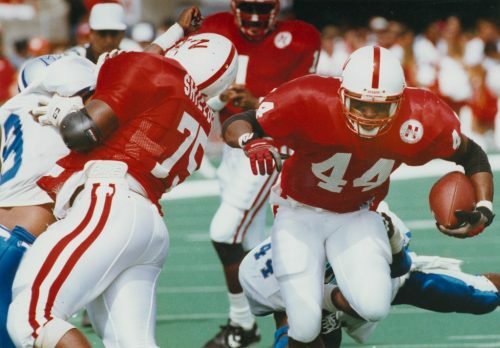 Q: Calvin Jones: Scout Team All-American, huh? Q: Being on the scout team as a freshman redshirt, what was that doing to your psyche, your emotions, your self-esteem? CJ: You know, the first year I redshirted and I think that was probably another good decision -now, I didn’t like it, I didn’t like redshirting because I wanted to play- but looking back, that was a good decision because I got to learn the college football game and I got to learn the speed of the game and it helped me grow tremendously that year that I spent of the scout team. Back then our defense was always ranked in the top 5, so going against them every day really made me progress a lot quicker than if I would have been on the team and not redshirted that year. Q: Sure. You wouldn’t have had that opportunity to go against the Blackshirts, who maybe helped forge you into a top-notch offensive back? CJ: Right. So it helped me grow up pretty quickly. (laughs) It really did. Q: From the start you were working with Coach Solich. Now, I must say, Frank and I have been like two ships passing in the night since he’s a very busy guy there at Ohio U., so if I am not able to talk to him I’d like to get some insight into what made him unique from a former pupil’s perspective. What would you say about Frank Solich? CJ: I’ll say this: he is a tremendous teacher. I think he’s one of the most driven people that I’ve met. 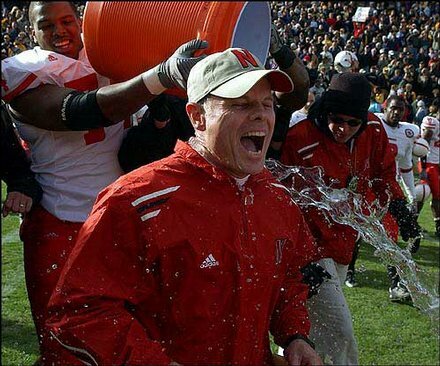 And I think this sums it up: when you look at when Coach Solich became the running backs coach -it might have been fifteen years or something– and twelve of those years Nebraska led the country in rushing. In a nutshell, that sums it up. Coach Solich? For me? He took raw kids with a lot of talent who came to Nebraska and shaped and formed them to be able to compete at the college level, a high level.